- Smart worksheet with integration to planned tasks. - Flex, vacation and leave balances in real time. - Automated time/material and fixed price invoices. 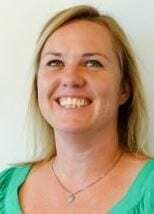 "With TimeGuru we never lose track of planning, time spend, mileage, flextime and invoicing again." - TimeGuru FREE is 100% free up to 10 users. 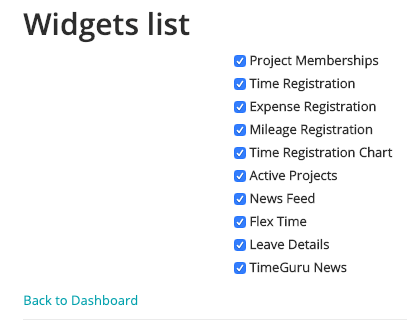 - TimeGuru PRO har extended functionality, API and integrations. - Call +45 71741115 and recieve a great offer already today. 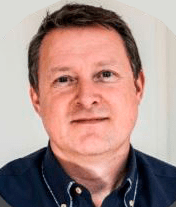 "With TimeGuru we now have a really great time management system and we have saved a lot on licenses." Time management, mileage, expenses and even photo's in your Worksheet. Use copy/paste feature for fast registration of repeating tasks. Manage individual flextime and leave balances, and pre register holidays. Flexible setup and easy access to balances in personal dashboard. The planning module is a flexible solution where you can manage and book resources of your own choice. Calendar views with colours provide the details and ressource reports calculates total bookings and cost. Plan, execute and follow up on projects to continuously improve company performance. Create project specific invoices using fixed rates or time/material. Follow progress in reports. Create and send invoices based on time/material, fixed rates or manually created. Integrates with popular financial systems. Your personal dashboard is a collection of relevant data and statistics about your work. Follow your flextime and leave balance, memberships and news etc. Add photo's like you do time registrations, and present them in the storyline. Follow work in images across the organisation or focus on specific customers, projects or activities. Also great for quality management. You can easily exchange data with TimeGuru. Use the build in integrations or develop your own, using our API that support integration of customers, projects, invoices and more. 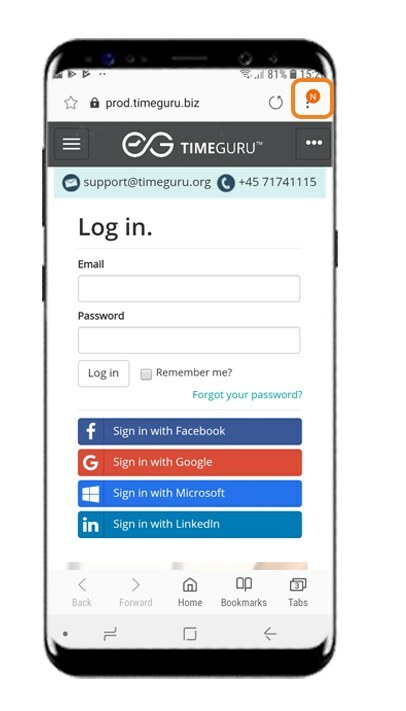 We are here to help you set up TimeGuru and introduce it to your users. Watch the introduction videos in the user forum or contact our phone and email support, for personal assistance. As an accounting firm, our initial demand was time tracking for customer invoices and mileage pay out. But we have started using the planning module as well and thrilled that all modules are so flexible and easy to use. At PASPX.com we have succesfully implementet TimeGuru software in a few weeks. Initially, we were searching for a system to manage development projects. But after a few months, we have now expanded the usage to include the management of work time, holidays and leave for all employees. This video gives you a walk-through of the planning module’s functions, settings and integration to other modules in the system. 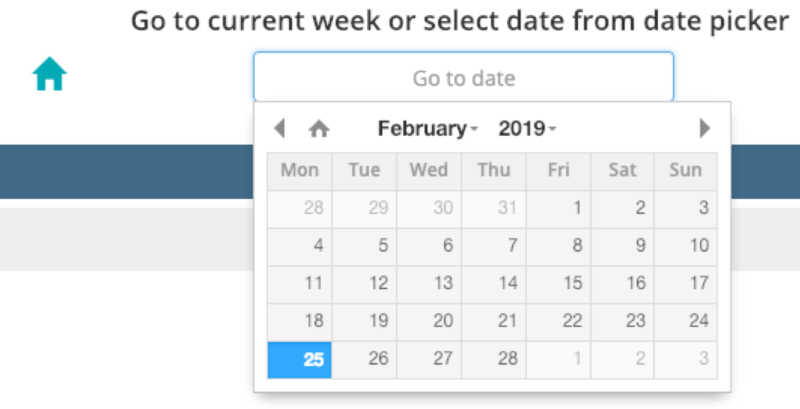 The planning module is nicely integrated in the whole system, making it easier to plan and register time (among other things). Click here to watch the video about the planning module. We just added a new function to the worksheet to make your registration even easier. Now you can choose to see your planned tasks from the calendar directly in your worksheet. When you finish the task, a time registration is created automatically with selected information and time span. All you have to do is press “done” in the worksheet, and perhaps change the time in the registration in case you used more or less time than expected. Check out the simple guide down below to find out how you can activate this new and useful function in your own system. 3) Now you have to create a task in the calendar: Menu -> calendar -> Overview. Create the task and fill out the information that you need. The same information will show in the final registration. 4) Go to the worksheet in the menu and then go to the date where you just created the task. This is everything you need to do to add your planned tasks to the worksheet. The task will be shown as a blue line at the top of the concerned day. You can find the “done” button on the right side of the screen. When you click that button, the system will create a time registration for you, and mark the task as done with a grey colour. We hope that you will enjoy this new function! 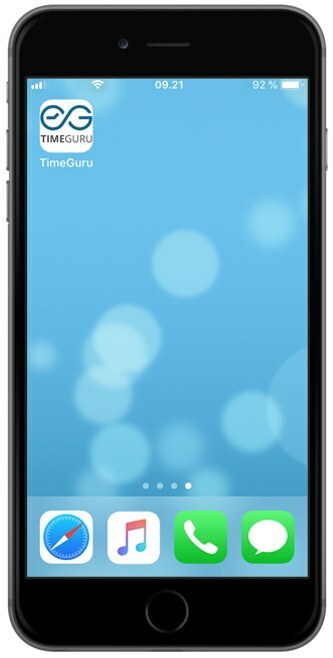 It’s very easy to get TimeGuru on your iPhone. All you have to do is follow these 5 simple steps. 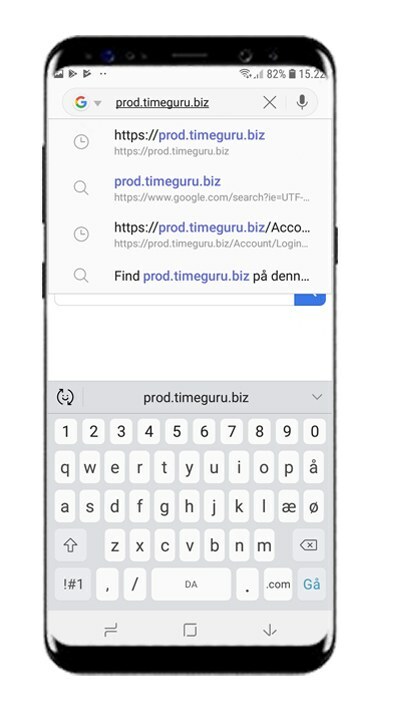 Open https://prod.timeguru.biz in your browser on your phone. Click the “More options” button, the three dots in the top right corner. When you click on it, a menu will unfold. Find the button “Add to Home screen” and click on that. Afterwards you will see a pop-up page. You don’t have to fill out anything, it will be done automatically. All you have to do is click the “Add” button. 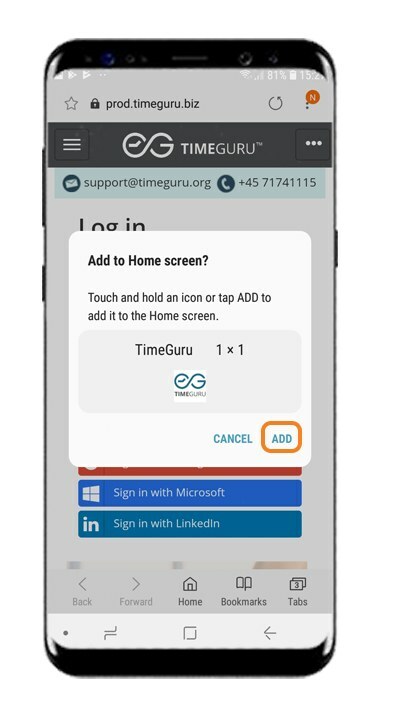 Now you can find TimeGuru on your homepage with your other apps, so you quickly and easily can use the system on your mobile phone. 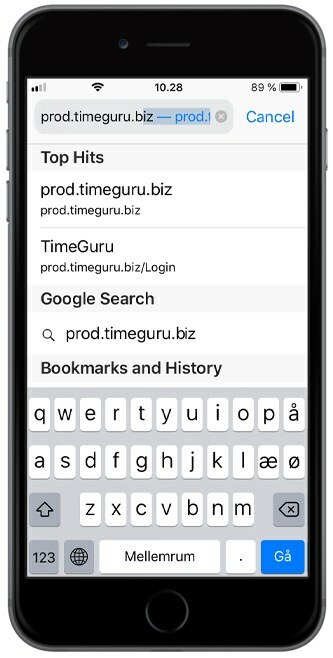 Open https://prod.timeguru.biz in your iPhone browser. 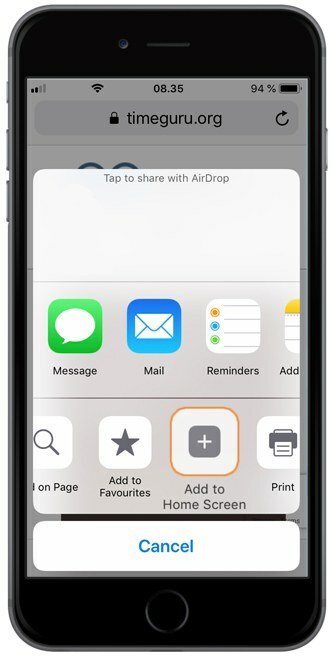 Now click the share button in the bottom of the page (see the orange arrow on the screenshot). 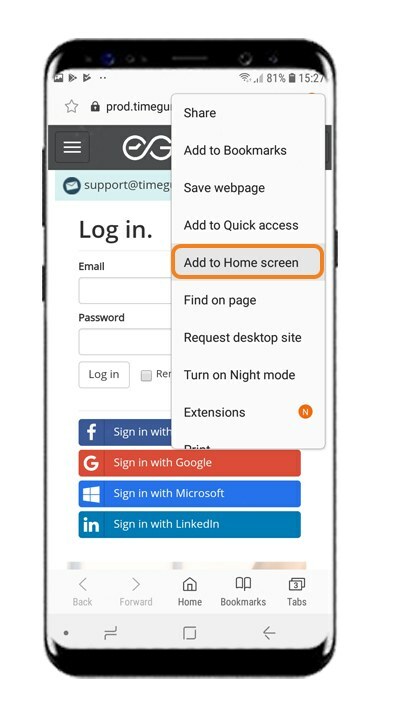 When you hit the button ”Add to homepage” this screenshot will pop up. You don’t have to fill out anything, it will be done automatically. All you have to do is click the “Add” button in the top right corner. 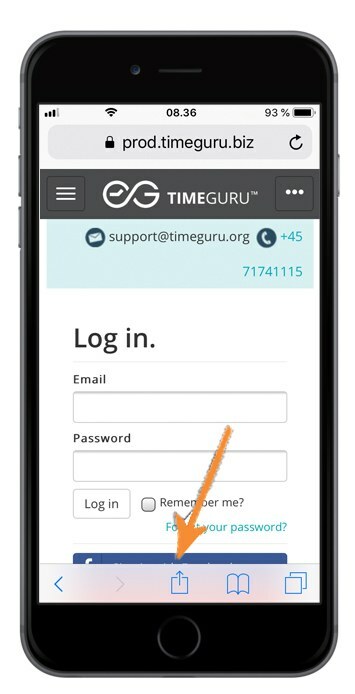 If you have recently been invited to TimeGuru and logged in for the first time, or if you just want to be familiar with all the functions, this is the guide for you. My dashboard is the first item in the menu. 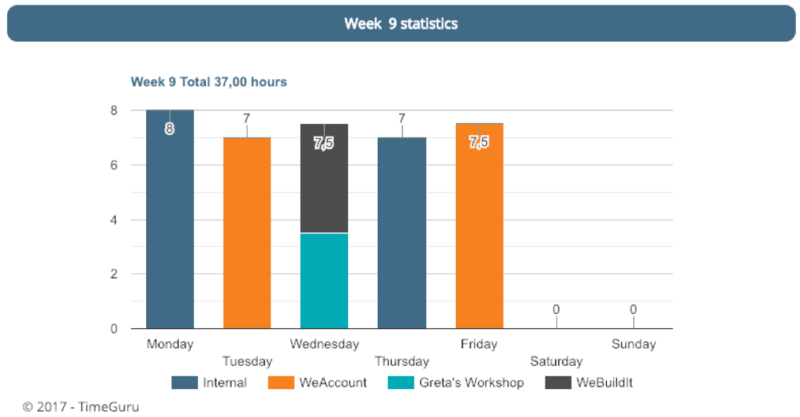 Here you can see personal statistics on weekly time, leave, flextime and much more. You can also see news that your company posts in the system. You can choose for yourself what you want to see in your dashboard, as you can also see in Figure 2. You can select and deselect depending on your needs. This can depend a lot on the type of the company. For example, if you drive a lot in connection with your job, it might be a good idea to select mileage, and if you know that your company uses the news, select that. In the worksheet you register your time, mileage and expenses. Depending on your company’s setup of the system, there are different boxes you have to fill out when you register time. 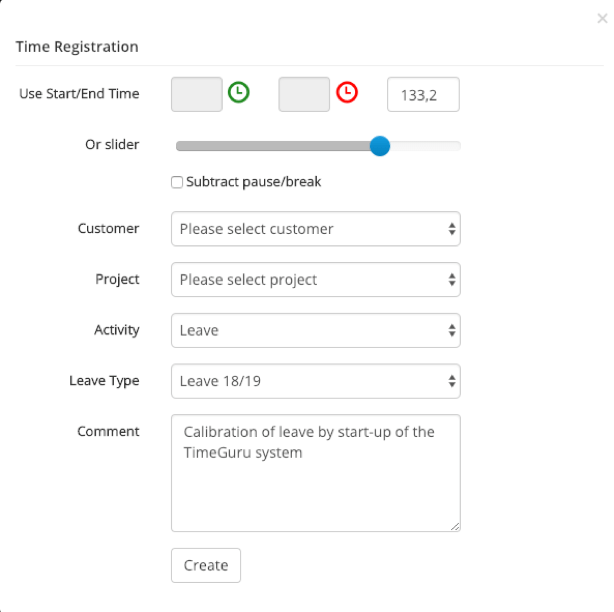 Insert start and end time for the work you want to register. You can also choose start time and fill out the mandatory boxes while letting the end time remain empty. Afterwards you can just click end when you are done, and the system will calculate the time for you (as shown in figure 4). 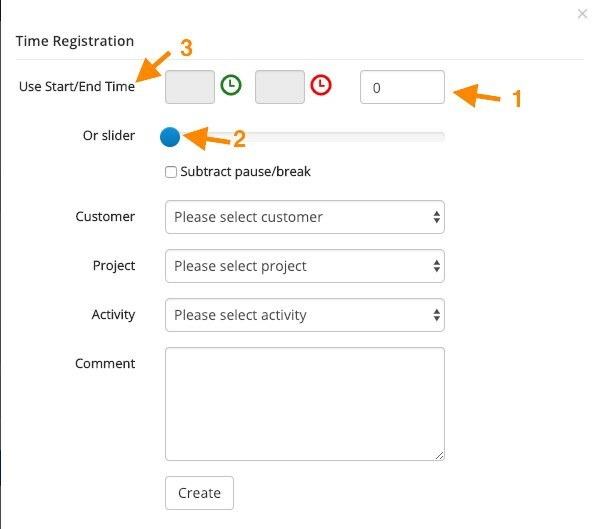 If needed, you can subtract breaktime from your registrations (figure 3). 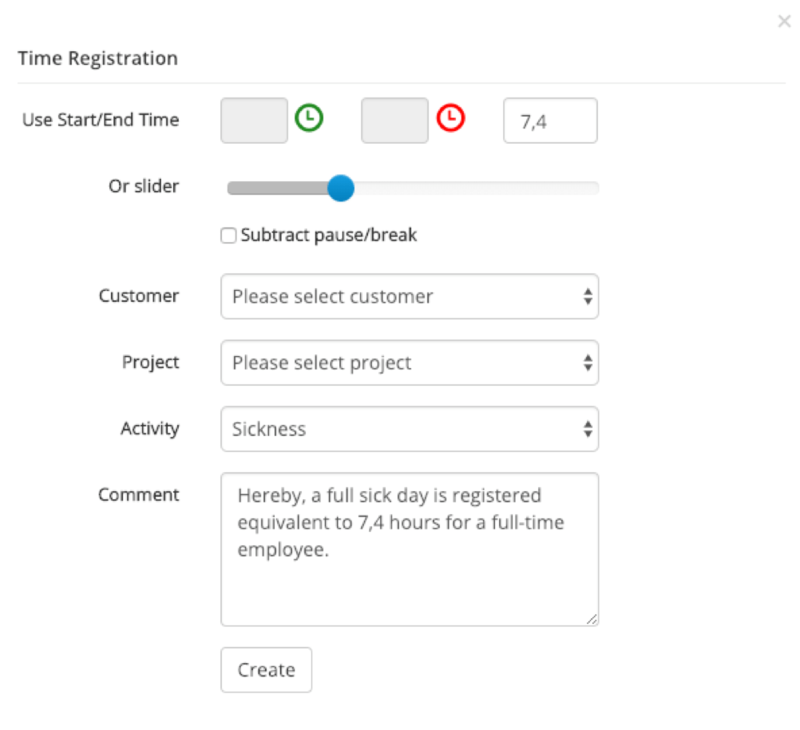 Just type in the time of your break in minutes, and the system will automatically subtract it from your registration. If this is a part of your system’s settings, you can also attach a customer to the registration or choose if the registration is internal. If you are assigned to any projects, you can attach one of them to your registration as well. You can use this in reports for instance, to see how much time you spend on the different projects. In activities, you can choose between those that are created in the system. This can be both billable and unbillable, and more specific activities depending on your system. Lastly, you can add a comment to your registration. You can specify what work you have done in that time, or type in other important information. In the bottom of the page you can see weekly statistics. Each customer has their own colour. The statistics show you the number of workhours registered in the current week. This makes it easy for you to make sure that you work the right number of hours and it also gives you an overview of the different customers and how much time you spent on each of them. On figure 6 you see a calendar. You can use this to go back and forth in the worksheet. You can also use the arrows to go back and forth one week at a time. To go back to the current week, simply click the home button. In reports in the menu you can choose between 4 different options. Mutual for all the reports are that they give you a quick overview of your personal statistics. You can download the report as a PDF or an Excel file. The time registration report will show you statistics on all the time registrations you have created during a specific period of time. You can choose between many different filters that will indicate what information will be shown in the report. Project can be used if you want to know how many hours you have spent on different projects. Project leader will make the report even more specific. Same goes for project groups. You can also sort between the different activities, to see how your distribution of time is regarding the different activities. This is a big plus if you for example distribute your own workhours. Groups can provide you a list of customers or projects for example. Every item gets its own column, so that you can see the different information for each in the different categories. Customer will show you one customer in the report with the different information you have selected. Period defines the period you want to pull a report from. 1) This week, 2) last week, 3) this month, 4) last month and so on. When you have chosen the filters you need, just click generate report. Now you can see all the different information, here among project, department and comment. It’s not necessarily all the information that is relevant for your report. Example: If you with the filters choose to pull a report on a specific customer, it is not necessary to have the subject “customer” in the report, as you already know the report is only regarding that one customer. Figure 8 shows you a list of all the different information that you freely can select and deselect in the report. The green colour indicates that the box is selected and the grey indicates the opposite. When you have chosen the information you want to see, click generate report again. The same information and filters go for the expense report and the mileage report. Therefore, these will only be described shortly. The expense registration report can give you an overview of the distribution of your expenses. Expense cover things such as lunch or minor purchases connected to work. The mileage registration report will, much like the other reports, give you an overview. This specific report will give you a report on your mileage, meaning where and how much you drive in connection with work. You can also use it to see your mileage allowance for a specific period. In the storyline you can see a timeline with all the different registrations you have made in a period you choose. Here you can select all the same filters as we ran through before. Besides, you can choose what registration type(s) you want to see (time registration, expense registration, mileage registration and/or photo registration). In the personal settings you can edit your profile, password, external logins and user log. 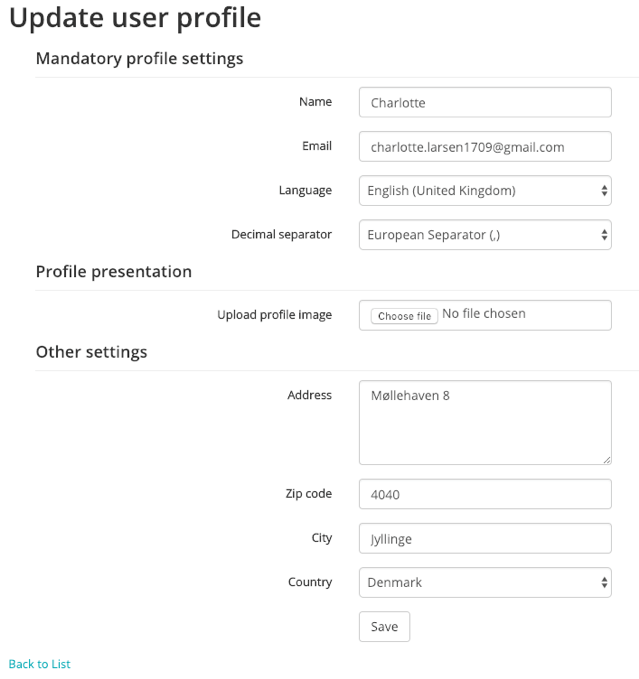 In edit profile you can change information such as name, e-mail, language and address. Some mandatory settings you have to fill out, but some are optional as well. For example, you can add a profile picture if you want to. The external logins, you can add if you wish to login differently from when you first logged in. In the user log you can see all the actions you have made in the system. You can use change organization if you are invited to multiple systems. Its super easy to do, and you don’t even have to log in and out to change organization. The last item to be reviewed in this guide are TimeGuru’s different support options. On the frontpage you can easily access all the support options. The e-learning videos thoroughly reviews the different functions step-by-step and they are easy to follow. You can find a video on every function in the system, leaving you no problems finding what you are looking for. The user guides are set up like the guide you are reading right now. They will walk you through the different functions and the use of these, without going too much into detail. These guides will give you a good overview of the systems capabilities. The FAQ are different answers to specific questions that other users have asked us. 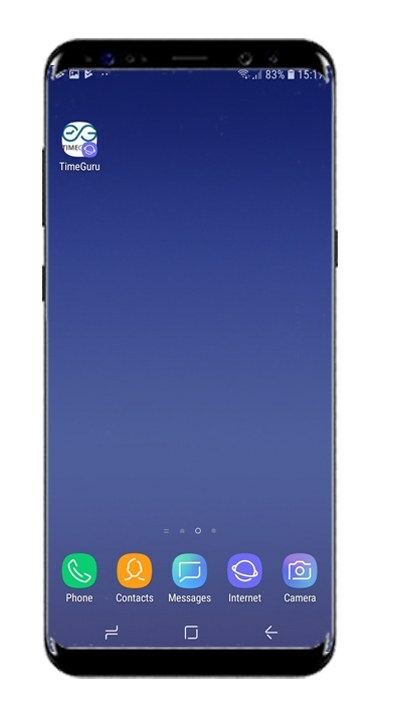 This is an easy way to get the answers to various questions you mught have, or to learn more about TimeGuru in general. 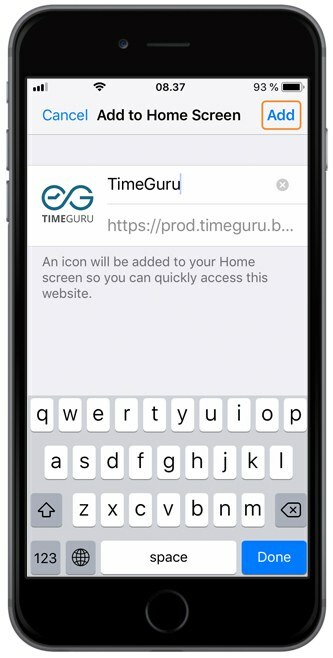 This is all the functions you can use as a user in TimeGuru. Now, you are ready to let the register your time! This guide will walk you through how to set up employees leave, flextime, public holidays and absence correctly. Click on any item in the table of contents to go to the specific paragraph. You can also download this guide as a PDF. To begin the setup of employees, you first need to invite them to use TimeGuru. If you haven’t already done this, you can invite new users from administration -> invite new users. Press “Ctrl” before you click on the link to open in a new window. If you want your users to be attached to a department, you can create them under administration -> department first. 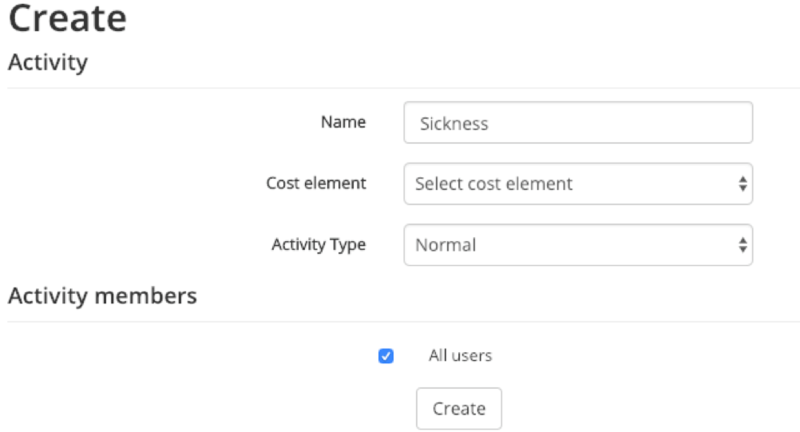 If you want to attach a cost element to a user (cost and/or sales price on access level), you can create them under administration -> Cost element first. When the preparations are done, you can go to the user list (Figure 1) that you find under administration -> users. The user list is the baseline for the next paragraph. 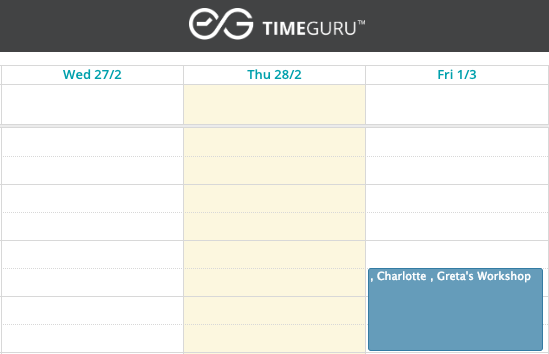 This guide walks you through how to set up your employees in TimeGuru. Including how to set up earn – and spend periods for leave and how to calibrate leave and flex time starting balances. Before you move on, you can profitably click the edit button next to a user, so you are ready to fill out the boxes. Many of the boxes are self-explanatory, but here is a list with short explanation of all the boxes, followed by a further explanation below. This box indicates the employee’s date of employment that is used in relation to calculation of leave. Example: If the employee has earned full vacation for the leave period that is earned in 2017 and is spent 1 May 2018- 30 April 2019, the start date must be 1 January 2017 at the latest. Employment in the middle of the earning period will result in fewer earned leave days, as the standard earned leave is 2.08 leave days per month. You can create leave and furlough yourself, so it matches the company’s agreements. The leave module is flexible and supports everything from control of leave, to special holidays for earning of education etc. In this box, the date from where the employee begins to register time is added. If the employee works full-time, meaning 37 hours per week, 37 hours must be registered to make the flex balance hit 0. For a normal work week of 37 hours, an employee must register 7,4 hours daily for the flex balance to remain the same. This box indicates the standard time per week. Ergo the agreed weekly work hours. If the standard is set to 37 hours per week, employees must register 37 hours per week to make the flex balance remain 0. If the registered hours exceeds 37 hours, the flex balance increases and vice versa. User has access to registration in the worksheet and overview of personal reports and statistics. Here among flextime and leave reports in real-time. Users only have access to data regarding themselves. Superuser can operate across the system and set up most of the master data that is used on a daily basis. This role is typically assigned to leaders or HR-employees who needs access to work hours, leave and statistics of leave across the company. Administrator has further access to change the basic settings in the system and invite new users. The person who creates the system will automatically become administrator. 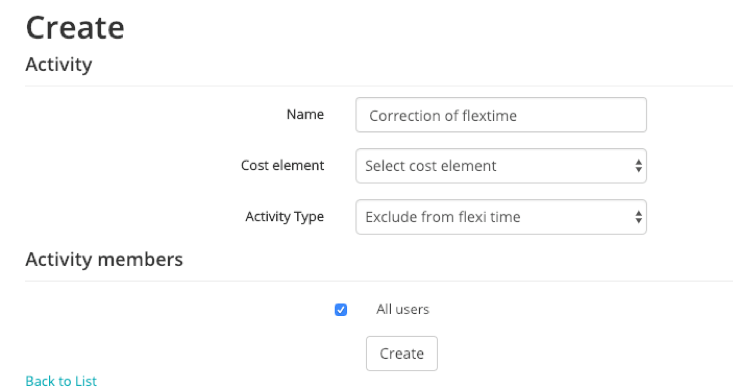 If you attach a cost element to an employee, the underlying cost – and/or sales price will automatically be saved with time registrations and planning. The prices will also be included in reports and can be used in invoices. Prices are also manageable in combination with project -or activity prices, as these prices are higher prioritised than employee-prices. The leave module is very flexible and can therefore be set up to all types of earned and spend leave, furlough, education, senior days and so on. 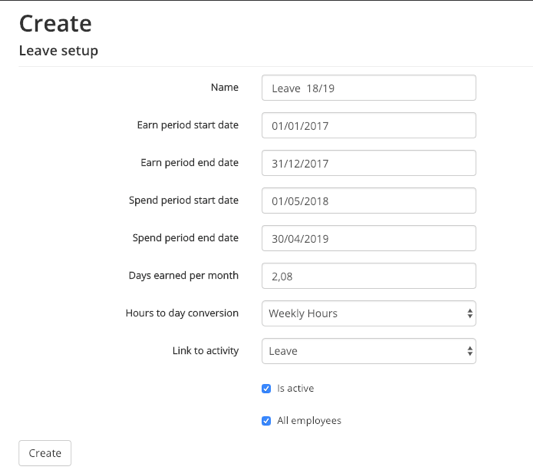 Earned and spend leave can be set up for the entire company, employee groups or individually. This can be relevant if for example there is multiple agreements or other special agreements. The leave module is not used for registering sickness. See the paragraph on sick leave for further information. First, we need to make sure there is an activity for leave registration. The purpose for this activity is to hide leave registration in the time registration when it is not in use. If you have yet to create the activity for leave registration, you can do this under administration -> activities. Fill out the registration as showed in Figure 2. Choose a fitting name and perhaps attach a cost element to follow your wage- and/or operational costs for leave. Now we’re ready to create Leave. To create the above mentioned as a new leave setup, go to administration-> leave setup. This leads to a list of already existing leave setups. Click “create new” and fill out the boxes as shown in Figure 3. Note, that in the last box you can choose the newly created activity for time registration. If the list of activities is empty, make sure that you have created an activity with the activity type “leave.” (See Figure 2 – create an activity). Click “create” to create the leave type. Now you can use this in time registrations and follow earned and spend leave in reports and in the dashboard. It is rare that all starting balances is 0 when switching to a new system. Therefore, you will typically calibrate all employees’ leave balances with already spend leave. The easiest way to do this is to register the spend leave the day before you want the employee to register time. Example: An employee is set to calculate flextime from 1 January 2019, which is also the date the registration begins. The employee has already spent 18 out of 25 of his leave days. Now we want to regulate the spend leave days without affecting the flextime balance. 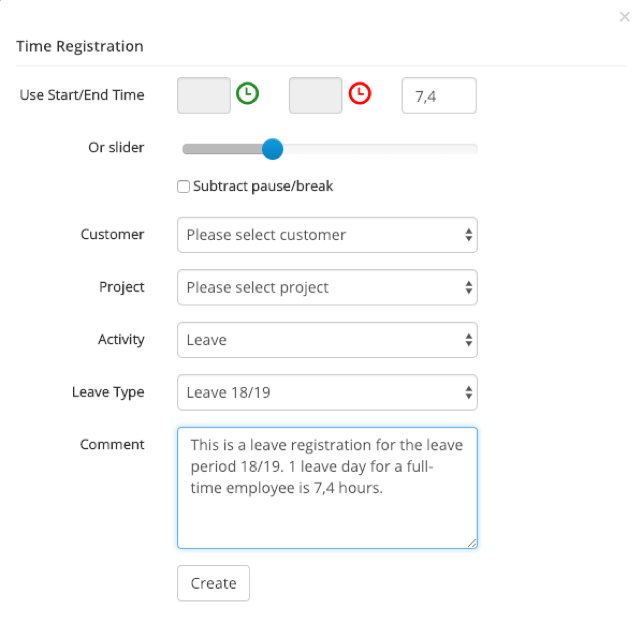 This can be done if the employee registers 18 days x 7,4 hours = 133,2 hours on the leave type “Leave.” The registration date must be set to a date before the beginning of the flextime calculation, for example 31 December 2018. (7,4 hours is the standard workday for a 37-hour workweek). Calibrate leave as shown in Figure 4. Customer and project are visible and should be filled out based on the chosen system setup. It is important to register on the correct day and choose the activity “leave” and afterwards choose the reason. In this example, the reason is leave, but it might as well have been public holiday, furlough or other. Click “create” to save the correction. If the correction is to be done by an administrator, use Administration -> Admin worksheet the same way as shown in Figure 4. Though with the addition that you can choose between the users. All employees have access to statistics on their leave in their personal dashboard. You can either click on the TimeGuru logo on top of the page or on the menu button My dashboard, where you’ll find the overview of the statistics. A Superuser or an Administrator can see the leave statistics for all users in the report Reports -> leave and vacation. You can filter by department and leave type. When an employee registers their leave, there will typically be an activity called “leave” that is chosen, and afterwards one of the different leave types. You can create and name these types yourself, so they can vary depending on your company’s needs. REMEMBER that employees must register the number of hours equivalent to a standard leave day, which typically is 7,4 hours for a full-time employee. A typical leave registration will look like Figure 5 – leave registration. When the leave day is registered, it is included in the flextime calculation. This way, the registration of a full leave day will leave the flex balance unchanged. On the other hand, a registration of only half a leave day will require a registration of half a workday as well for the flex balance to remain the same. Flextime is calculated from that day the employees is set up to calculate flextime from, which we looked at earlier. From this date (including the date) the employee must register a day norm daily for the flextime balance to remain 0. A day norm for a full-time employee will typically be 37 hours/5 days = 7,4 hours a day. Today is Thursday, 4 March and I am set up to start flextime calculation on 1 March. This means that by now I should have registered 4 x 7,4 =29,6 hours for my flextime balance to remain 0. Sometimes you need to register time that will not affect the flextime balance. For example, if there’s a group of employees who doesn’t have flextime. You can do this by creating special activities that is set to not count in the flextime balance. You can frequently meet the need to calibrate the flextime balance for an employee. For example, in connection with payment or to reset the hours. Therefore, it is a good idea to create an activity called “correction of flextime” that can be used continuously for this purpose. 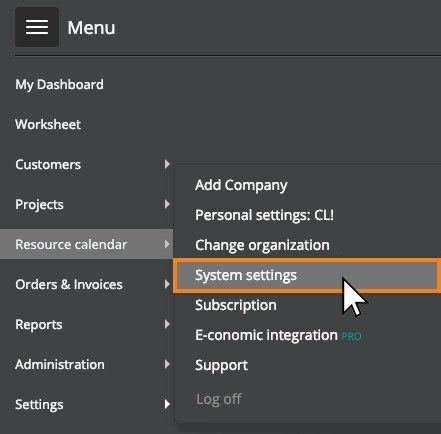 The employee can calibrate their starting date themselves in the worksheet or an administrator can choose the starting date in the menu Administration -> admin worksheet. The important thing is to do this earliest the same day as the employed is set up to flextime balance. Otherwise the correction will be left out of the calculations. If you already have an activity for correction of flextime, you can skip this step. Otherwise we recommend you create an activity for flextime correction under Administration -> Activities and fill out as shown in Figure 6. Now it is time to type in the correction of the employee via Administration -> Admin worksheet. Choose the employee in the list at the top and afterwards go to the start date and fill out as shown in Figure 7. 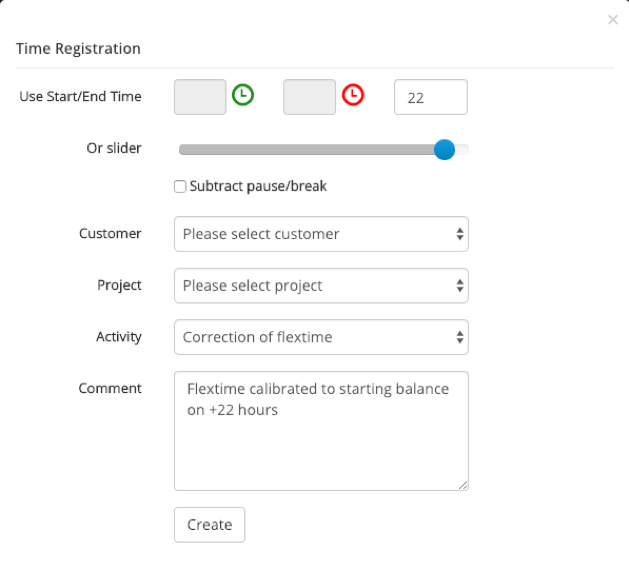 Now you have transferred the flextime balance to the new system and the employee can now follow their flextime on a daily basis. Public holidays are created in the system under Administration -> Public holidays. You can choose if the public holiday applies to all employees or only specific groups. For example, employee-groups with different agreements. Example: Everybody has a public holiday 25 December. Therefore, Christmas day is created as shown in Figure 8. When the public holiday is created, it will automatically appear on the concerned employees’ worksheet, as shown in Figure 9. Note that the employee shall not register time on public holidays, as the system already incorporates these in the calculation automatically. Employees are able to follow their own flextime balance in real-time in the personal dashboard. Administrators and superusers has access to reports -> flextime, where you can pull statistics across the company. The report will always show the current balances but will also give you the possibility to compare the development between two dates. This makes it easier to check if employees build up a high number of flextime hours that are expected to be used in the future. Conversely, if the employee owes the company a lot of hours and what direction the development is heading. Setup of activity for sick leave registrations, that are used for sickness and other absence, are typically registered on activities for that specific purpose. If you already have activities for sickness and absence, you can skip this step. Otherwise we recommend that you create these under Administration -> Activities and fill it out as shown in Figure 10. Create the activities you find necessary. For example “sickness”, “child’s first sick day”, “other leave”. When the activities are created, the employee can register their sickness themselves or a superuser/administrator can do it for them. 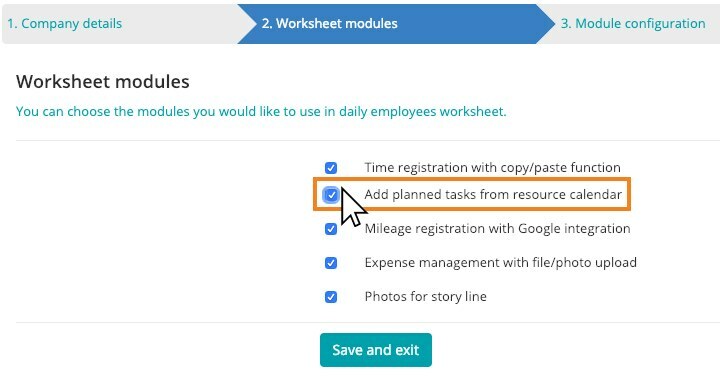 The employee can do it themselves in the worksheet and the administrator can do it in the Admin worksheet (Remember to select employee). Fill out as shown in Figure 11. Above there’s one day sickness registered. The registration serves multiple purposes: 1) It is calculated into flextime, so the flextime balance remains accurate and 2) It is included in statistics on sick leave that can be pulled out of the system as a report. Example: we want a report on the total amount of sick leave from the current year, grouped per employee. Click on “show more filters” and fill out as shown in Figure 12. If the system is set up to use cost – and sales prices, this is shown in superusers and administrator time reports. Prices are hidden from normal users. Hereby ends the walk-through of employee setup and transmission of starting balances. Now you are ready to begin with time registration.